What is now known as Macer-Hall Funeral Home was started in 1884 by George Bland on Broad Street in New Castle, Indiana. The Bland funeral home was purchased nearly ten years later by Will Fox. 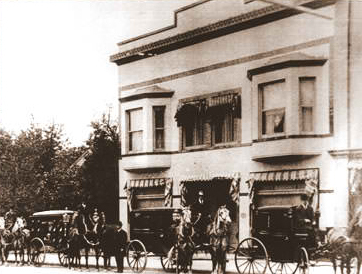 In 1923, Leland E. Macer purchased the funeral home and operated it under the name of Fox & Macer Funeral Home. Mr. Macer moved the funeral home from the Broad Street location in 1947 to the current location at 600 South Main Street in New Castle. In 1954, Mr. Macer’s son joined his father in the funeral home business resulting in a name change to Macer Funeral Home. The present owner, Samuel Hall joined the funeral home in 1969 while still in high school. Mr. Hall has worked at the funeral home for the last 38 consecutive years.